Here’s a great shot of the #61 Roush Racing Mustang, driven by Jack Roush, Jr. and Billy Johnson, its way to victory at the 2012 Continental Sports Car Challenge at Daytona International Speedway. Note the USANA Health Sciences Logo on the rear fender…….. 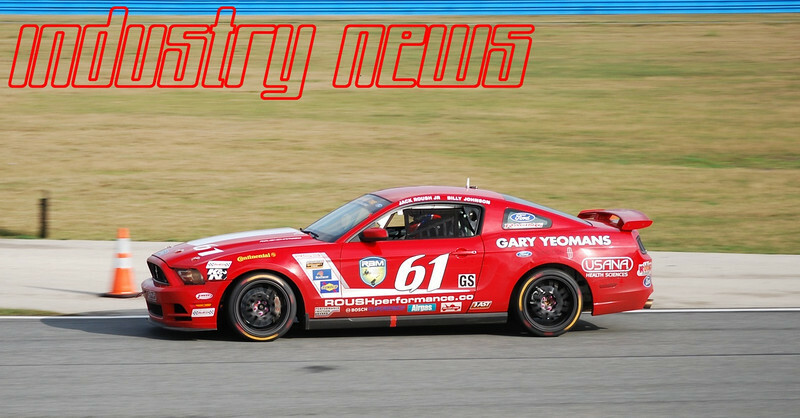 The next race is at the Barber Motorsports Park in Birmingham, Alabama on Saturday, March 31st. Check your local TV listings and support your USANA Race Team. USANA’s 2011 International Convention brought several amazing announcements. Among them was the news that we planned to expand to include two new markets, France and Belgium. Since then, USANA France and USANA Belgium have moved forward at an incredible rate and are now officially open for business! Help keep the momentum going by building your business in these new markets. You can now enroll Associates and Preferred Customers as well as purchase USANA products for personal use and distribution. Several EU-focused nutritionals have received registration approval, so you can begin dispensing the Essentials™, Proflavanol® C100, Procosa®, and more. 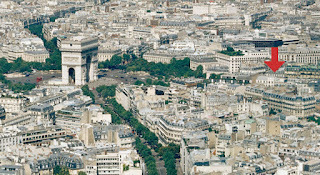 Make purchases, enroll Associates, or host and attend training and seminar meetings at the new USANA office, located on the most well-known and prestigious street in all of Paris, the Avenue des Champs-Elysées. The new office, however, will not open to the public until Wednesday, March 28. Just over a mile long, the famous, not to mention beautiful, street is close to the heart of town, making the new office easily accessible and convenient for you to meet with prospects and introduce friends to USANA. We are moving ahead at an astonishing speed and look forward to working with you in historic France and Belgium! For more information, please visit the USANA France/Belgium: Frequently Asked Questions page. Free is such a beautiful word. It lands so gently on the ear. It carries so much magic in such a small package. If you feel the same way about the word free, USANA is giving US Associates a reason to celebrate. From March 24–April 20, 2012, each new Associate who enrolls online and generates sufficient sales volume to activate 1 or 3 Business Centers will receive a free BDS. Even the shipping on the BDS is free! And if the sound of the word “free” doesn’t put a smile on your face, think about this: It’s the BDS—the cornerstone of any developing distributorship. Every successful Associate knows the importance of the proper training, especially in the beginning. 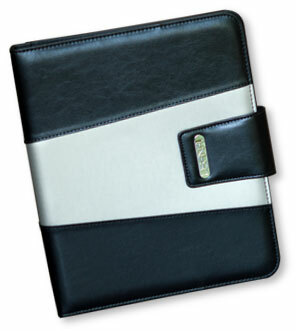 So it’s not just a free gift, this promotion will get your new Associates off to a great start, too. But something as great as Free Starter Kits can’t last forever. What’s the expression? Nothing free can be around for long—or something like that—so take advantage of this incredible opportunity before it ends on April 20. Just remember, US sponsors who wish to participate in this promotion must opt-in/register. Sign up today! Check out complete rules for the Free Starter Kit promotion on USANA Today..
USANA has paid out over $1.8 Billion in commissions to its Associates. $91,000 is the average yearly income for an established, full-time USANA Associate. $24,000 is the annual average of those who earned as little as one commission check each month. Total includes all earnings from the Compensation Plan, Leadership Bonus, Matching Bonus, contests, and incentives. Calculations based on earnings for fiscal year 2010. Figures should not be considered as guarantees or projections of actual earnings, which result only from consistent, successful sales efforts. To date, USANA has more than 170 Associates who are lifetime Million Dollar Club members. I've been noticing (and I'm sure you have to), while many companies and individuals might be struggling right now, that there is also a group of companies and individuals flourishing. I've also noticed there are some common characteristics found in these companies and individuals who seem to be doing well during some of these uncertain times. 1) These companies and individuals operate from a win/win philosophy and inherently value their business relationships (customers, employees and vendors). When you understand and appreciate this principle it allows you to create and receive value both on a short- and long-term basis, as well as recognize and be in line for new opportunities that begin to present themselves. 2) These companies and individuals have an entrepreneurial mindset. Although it's true that when a boom is going on the entrepreneur is often leading the way, I've also noticed that when the water is high (things are going good), everything tends to even out (everyone seems to be doing well). But when it all starts to go south, it is then that entrepreneurs can rise more quickly and distinguish themselves. Their ability to take risks, be decisive, recognize and seize opportunity and to basically "create" allows them to find a way to make things happen. 3) These companies and individuals have an excellent work ethic and focus. In sports, if you were to ask, who in their respective sport has been a dominant figure, three immediately come to my mind: Tiger Woods, Michael Jordan and Wayne Gretzky. Beyond their remarkable ability and talent, there is also something about these three that help propel them to greatness—their fierce competitiveness and their incredible work ethic. How do you beat the most talented person in the world when they will also outwork you and have a "will to win" that is not to be exceeded? Well, the same is true in business. The top performers do not get complacent. They do not rest on their laurels. And they don't decide that because they are doing well or are on top that that is good enough. Their work ethic and drive to be their personal best has allowed previous victories and momentum to carry over into more success (even in difficult times). 4) These companies and individuals have made a commitment to succeed. 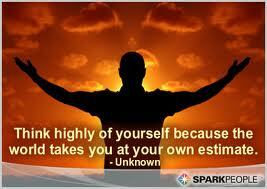 Making a decision is the prerequisite to all successes. As Jim says, all good things are upstream, but the natural tendency is downstream. Commitment creates the mindset that allows us to face challenges, shut out negative circumstances and discomfort and then move upstream toward our goals. 5) These companies and individuals operate out of faith. Without faith it is impossible to take risk. Without faith it is impossible to make investments of time and effort in the present hoping for a future reward. And without faith it is impossible to make short-term sacrifices on a consistent basis. Faith allows you to be free to give and be your best, knowing that the reward will manifest itself sometime in the future. Faith also allows you to find the opportunity that often comes disguised in the form of a problem or challenge. While others are "missing it" or spending their time and energy complaining, the person/company of faith is identifying and seizing new opportunities. Question: How do you rate yourself in these five areas above? I would estimate much of where you find yourself today could be directly related to how well you have fared the past few years with the five points above. The good news is today is a new day, a new opportunity. It's Good to Be #1 for 12 Straight Years! 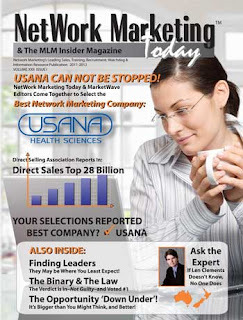 USANA has been voted the #1 Company in Network Marketing for the 12th straight year by NetWork Marketing Today / MLM Insider Magazine. New research shows that adults with retinitis pigmentosa that consume higher amounts omega-3 fatty acids may slow the rate of visual decline by as much as 40%, significantly delaying blindness. Retinitis pigmentosa is a condition that begins with night blindness, progresses to tunnel vision, and eventually leads to almost complete blindness. Researchers at Harvard University recently performed a study to examine the impact of supplementing 15,000 IU/day of vitamin A palmitate on this eye condition. One of the variables that the researchers recorded was omega-3 fatty acid intake of the subjects. Analysis of the data showed a benefit with omega-3 fatty acids and vitamin A palmitate that was not seen in vitamin A supplementation alone. They found that those who were supplemented with vitamin A, and also consumed at least 0.2 g/day of omega-3 fatty acids had a 40% slower rate of visual decline. 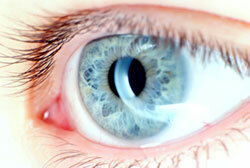 Individuals with retinitis pigmentosa usually reach almost complete blindness by the age of 60. With a 40% slower rate of visual decline this new research shows that those with higher dietary omega-3 intakes or supplements may delay blindness by as much as 18 years. SALT LAKE CITY, March 8, 2012 -- /PRNewswire/ -- USANA Health Sciences, Inc. (NYSE: USNA), a global nutritional supplements company, today announced the opening of its new charitable foundation, the USANA True Health Foundation. The organization will offer basic necessitates, such as nutrition, clothing, shelter, medical assistance and health education to those who are suffering or in need. "The primary motivation for the creation of this foundation is the never-ending quest for more efficient, economic, effective ways to improve the health and living conditions of people around the world," said Elaine Pace, president of USANA True Health Foundation. "Our goal is to meet the urgent needs of deserving populations and assist them with active compassion whenever the situation demands, to provide whatever is needed." Donations made to the foundation can be assigned to one of two funds: the General Fund and the Children's Hunger Fund. Charitable gifts made to the General Fund will be used to support areas of great need around the world, aid in rapid disaster relief, and assist wellness organizations such as HealthCorps, founded by Dr. Mehmet Oz and Lisa Oz, to combat childhood obesity and educate children about nutrition and fitness. 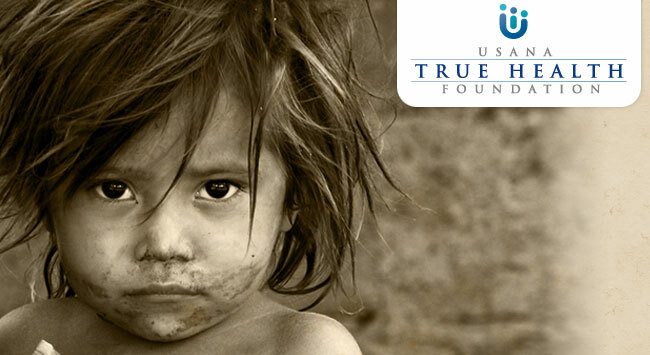 HealthCorps is the first among many organizations that USANA True Health Foundation intends to support through its General Fund. Contributions to Children's Hunger Fund will aid the non-profit organization, which has a long-standing partnership with USANA. For more than a decade, USANA and CHF have helped alleviate the suffering of children in impoverished regions across America and around the world. To date, the organization has received over $11 million in resources through USANA. "USANA Health Sciences will be paying all administrative costs related to operating the foundation," said Dave Wentz, USANA's chief executive officer. "One hundred percent of every dollar donated to the organization will directly benefit those in need. Our goal is to maximize all donations to help as many people as we can." Donations can be made through www.USANAfoundation.org in the form of a one-time pledge, continuous, automatic contributions, or a variety of monetary programs, to the fund of the donor's choice. All donations made by taxpayers in the United States and Hong Kong are tax-deductible. Residents of other countries should check with their local tax professional to determine whether their donation is deductible. Based on pledges and donations to date, the foundation expects to raise more than $3 million within the first year of operations. For more information about the USANA True Health Foundation, please visit www.USANAfoundation.org. About USANA True Health Foundation: The USANA True Health Foundation is a registered 501(c)(3) non-profit organization created by Dr. Myron Wentz, USANA's founder, and USANA CEO Dave Wentz, to help expand and enhance USANA's on-going charitable efforts. Their mission is to provide the most critical human necessities to those suffering or in need. USANA True Health Foundation has an active partnership with organizations like HealthCorps and the Children's Hunger Fund, who share the same vision of making the world a happier and healthier place. Learn more at our website (www.USANAfoundation.org), follow us on Twitter (@UsanaFoundation), or like us on Facebook (www.facebook.com/USANAfoundation).